Ahead of the 2019 general elections, an interesting scenario is playing out in the camp of Governor Akinwunmi Ambode of Lagos State. His loyalists are currently waging a war not against the governor’s enemies but against one another. Bounce News gathered that in the bid to show who is most loyal to the cause of the re-election of the governor, his loyalists have started sowing seeds of discord. Their strategies include blackmail and backstabbing just to have an upper hand in the political chess game towards positioning themselves ahead of the election. The loyalists have formed different political groups in order to have the ears of the governor. Over 600 groups, all purporting to work for the governor’s re-election have emerged. The groups come in different names and have various styles and modus operandi in campaigning for Ambode. The frontrunners include Itesiwaju Eko Foundation, Itesiwaju Eko Movement, Ambode Continuity Initiate (ACI), Itesiwaju Ipinle Eko Vanguard, Akin Ambode Support Group (AACG), Ambo Lekansi Grassroots Volunteer (ALGV) , Ambode Mandate Support Group and Ambode Youth Initiative. Bounce News investigation revealed that names and the identity of some of those behind their formations are difficult to get owing to their instability and unknown addresses. While some have known and fixed addresses with established structures, others exist only on pages of newspapers and online, which they use effectively to propagate their mission all in an attempt to get the attention of the governor. Many of these groups are more preoccupied with schemes to outsmart one another. It was further gathered that the situation has assumed a dimension where rather than cover-up the inadequacies of one another for the good of all, they are being left to show for the governor to notice. A party source familiar with the situation told Bounce News that the struggle for personal benefits is overshadowing the target of winning the election. He stated that virtually everyone wants to make money from the campaign when it starts. 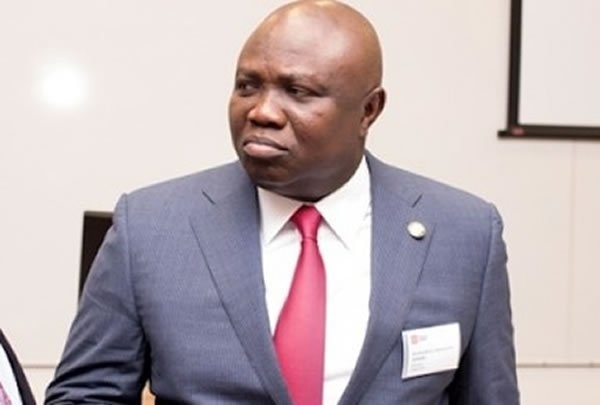 However, Ganiyu Hamzat, the Secretary of ACI on Monday refuted claims that some of the organisations working for the re-election of Ambode are against each other. He told our correspondent that all groups based on his own understanding are working tirelessly to ensure victory for the Ambode in 2019. According to him, some of the groups have resolved to join forces in order to ensure Ambode wins.